The extra dust filters will absorb the paint spray dust. Cradle head harness and easy to fasten neck strap. Comfortable soft, lightweight facepiece with easy-to-adjust head straps. NIOSH approved for negative pressure air purifying and supplied air dual airline applications. 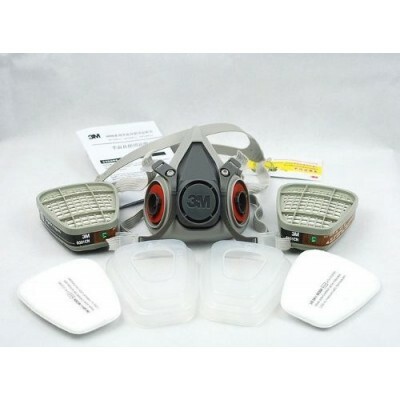 Replaceable cartridges and filters allow reuse of facepiece for cost savings.